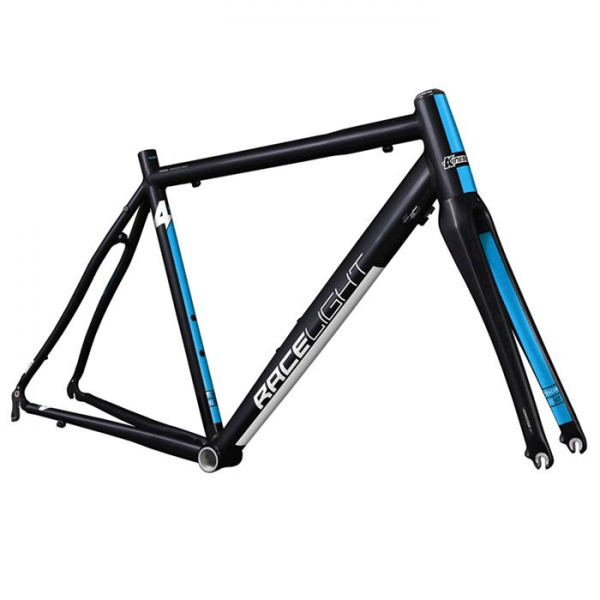 The versatile Racelight TK3 frameset gets a makeover and has a new name Racelight 4S (meaning Four Seasons). Note: New Text On It’s Way. 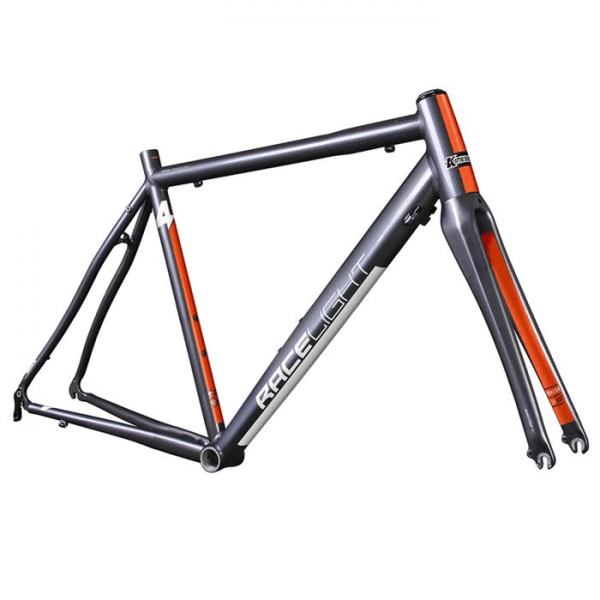 Using our own, smooth welded ‘Kinesium’ tubeset and with clearance for full ‘guards, 28′s and long-drop brakes, this frameset makes a fantastic and well proven basis for a true 4-season bike. The Tk3 has become the staple product for the committed racer during the winter months. For the 2013 season, we introduce the Racelight Tk3. It’s not just the colours that are new, the big news for this frame is the unique new ‘Tracer 1.5′ monocoque carbon fork with 1.5″ taper steerer and clearance for large tyres and full ‘guards. As far as I know, there is no other fork like this available. This fork, combined with the new taper head tube, transforms the handling and braking of the Racelight Tk3 and brings it totally into line with your modern, summer season race bike. The gentle inward curve of the fork blades matches the ‘hourglass’ profile of the rear stays, helping to add comfort and tune out vibration. The top tube is ‘power bulged’ at the headtube for maximum stiffness and the oversize, thin-wall down tube is aero section at the top and ovalised where it meets the BB for maximum weld area and response. The ‘anti roadshock’ seatstays give maximum comfort for long training rides and the oversize chainstays and large downtube area at the BB keep power loss to a minimum. Both the Racelight ‘T2’ and ‘Tk3’ have rack mounts and ample clearance for full size ‘gaurds [refer to FAQ's 16] and up to 28c tyres [long reach, 47/57mm brakes required]. Powder Blue. Steel Grey Metallic.